Robert Bylot was a 17th-century explorer who made four voyages to the Arctic. He was uneducated and from a working-class background, but was able to rise to rank of Master in the British Royal Navy. 1610 with Hudson: Bylot was first mate on Henry Hudson's ship Discovery, during Hudson's 1610-1611 expedition into what is now known as Hudson Bay. In the spring of 1611, Hudson wanted to continue the expedition, but the crew wanted to return home. There was discontent between the Captain (Hudson) and members of the crew, and Bylot was stripped of his rank. Later there was a mutiny in which Hudson, his son and several sailors were set adrift in an open boat. It was due to Bylot's navigational skills that Discovery was able to return from the Arctic safely; Hudson and his party were never seen again. Upon return to England, Bylot was tried as a mutineer but was pardoned. 1612 with Button: Bylot returned to Hudson Bay in 1612 with Sir Thomas Button. They wintered over at the mouth of the Nelson River, and in the spring of 1613 continued north. They were able to reach latitude 65°, then returned to England. 1615: In 1615, the Muscovy Company hired Bylot to find the Northwest Passage as captain of Discovery. He sailed west from Hudson Strait and was blocked by ice at Frozen Strait. 1616 with Baffin: The following year (1616), the Muscovy Company again hired Bylot to continue to search for the Northwest Passage. This time he was accompanied by pilot William Baffin. The Bylot-Baffin voyage resulted in several notable achievements. First was the circumnavigation and mapping of what is now called Baffin Bay. Second was the discovery of Smith Sound, by which the North Pole would eventually be reached. Third was the discovery of Lancaster Sound, through which the Northwest Passage would eventually be found three centuries later. Fourth, and perhaps most significantly, they were able to reach 77° 45' North latitude, a record which held for 236 years. Bylot and Baffin's work in Baffin Bay was doubted by cartographers back in England. As late as 1812, charts of the area only showed a dotted bulge with the words: Baffin's Bay according to the relation of W. Baffin in 1616, but not now believed. When the bay was "rediscovered" by Sir John Ross in 1818, the records of the Bylot-Baffin voyage proved extremely accurate. In England, almost total credit for the discovery was given to Baffin, and Bylot was virtually ignored. Historian Farley Mowat has speculated two possible reasons for this: Bylot's lack of education and lower position relative to Baffin in English society, and his involvement in the mutiny during Hudson's expedition. Bylot Island, one of the more dramatic of the Arctic Islands, was named after him. ^ ExploreNorth. "Biography of Robert Bylot". Mowat, Farley (1967). The Polar Passion: The Quest for the North Pole. Toronto: McClelland and Stewart Limited. Neatby, L. H. (1979) . "Byloy, Robert". In Brown, George Williams (ed.). Dictionary of Canadian Biography. I (1000–1700) (online ed.). University of Toronto Press. 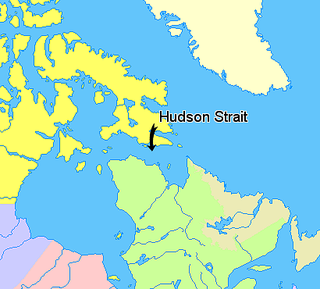 Hudson Strait links the Atlantic Ocean and Labrador Sea to Hudson Bay in Canada. This strait lies between Baffin Island and Nunavik, with its eastern entrance marked by Cape Chidley in Newfoundland and Labrador and Resolution Island off Baffin Island. The strait is about 750 km long with an average width of 125 km, varying from 70 km at the eastern entrance to 240 km at Deception Bay. 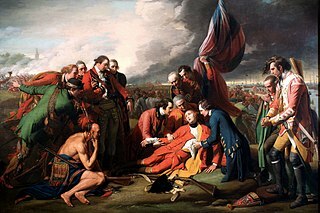 Events from the 1610s in Canada. Bylot Island lies off the northern end of Baffin Island in Nunavut Territory, Canada. Eclipse Sound to the southeast and Navy Board Inlet to the southwest separate it from Baffin Island. Parry Channel lies to its northwest. At 11,067 km2 (4,273 sq mi) it is ranked 71st largest island in the world and Canada's 17th largest island. The island measures 180 km (110 mi) east to west and 110 km (68 mi) north to south and is one of the largest uninhabited islands in the world. While there are no permanent settlements on this Canadian Arctic island, Inuit from Pond Inlet and elsewhere regularly travel to Bylot Island. An Inuit seasonal hunting camp is located southwest of Cape Graham Moore. Sirmilik National Park is a protected area located in Qikiqtaaluk, Nunavut, Canada, established in 1999. Situated within the Arctic Cordillera, the park is composed of three areas: most of Bylot Island with the exception for a few areas that are Inuit-owned lands, Oliver Sound, and Baffin Island's Borden Peninsula. Much of the park is bordered by water. Sir Thomas Button was a Welsh officer of the Royal Navy, notable as an explorer who in 1612–1613 commanded an expedition that unsuccessfully attempted to locate explorer Henry Hudson and to navigate the Northwest Passage. Smith Sound is an uninhabited Arctic sea passage between Greenland and Canada's northernmost island, Ellesmere Island. It links Baffin Bay with Kane Basin and forms part of the Nares Strait. The Carey Islands are an island group off Baffin Bay, in the Avannaata municipality, NW Greenland. Located relatively far offshore the Carey Islands are the westernmost point of Greenland as a territory. The sea surrounding the islands is clogged by ice most of the year.